Dr Ambedkar saw the Dharma as the best, even the only, way to bring about something like an ideal society – a ‘new society’. He defined such a society in terms of liberty, equality, and fraternity, which for him were deep spiritual principles, derived not from the French Revolution but ‘from the teachings of my master, the Buddha’. There is liberty when people are free to live the kind of life they consider best – so long as they do not harm or infringe the liberty of others. Equality means that everybody has broadly the same opportunities, at least to begin with – although he was quite clear that not everybody is equal in talent, ability, intelligence, or character. And fraternity, which is perhaps the area where he has the most interesting things to say, means an attitude of respect and reverence of each citizen for every other. This he equates with democracy itself: democracy is not merely a means of choosing a government, but a state of mind, he says, a fraternal attitude that is ultimately one of metta or loving-kindness that expresses itself in moral action – sila or morality being metta in action. Society should, he taught, be founded on ethical principles, which themselves are the expression of respect, reverence, and even of metta, of love. Dr Ambedkar arrived at his conclusions about the transformative effects of the Dharma after many years of struggle to overcome the terrible historical injustice of untouchability, to which he himself had been subjected simply by his birth. Though born into a caste then considered untouchable, he was fortunate, through the philanthropy of two reformist Maharajas, to get an excellent education in the West and returned to a senior post in the government of one of these princes. However, he soon realised that education was not enough, for he still suffered humiliation and prejudice, for all his Doctorates. ‘Modernisation’ alone did not bring change. He devoted himself thereafter, with outstanding selflessness, to freeing his people from the oppressions of caste by every means at his disposal: journalism, social agitation, labour organising, legal action, political activism, and even in government – first in the Viceroy’s Council and then in the first Cabinet of the independent India, in which he served as Law Minister. He was asked by Pandit Nehru, the first Indian Prime Minister, to chair the committee that oversaw the drawing up of the Constitution of the Republic of India – and is reported to have done the lion’s share of the work himself. However, even at this pinnacle of personal achievement, he knew that not enough had been done: caste discrimination persisted throughout India, much as it always had, and hundreds of millions of people suffered under its oppressions. When there was resistance in Parliament to his attempts to bring full equality to women by reforming Hindu family law, and Government support was withdrawn, he became finally disillusioned with the political process as a means of eradicating social injustice. He had done so much to give India political democracy and at least the legal basis for social democracy, yet the old attitudes persisted. The problem lay much deeper than laws and constitutions could reach. We built a temple [the Constitution] for a god to come in and reside, but before the god could be installed, the devil had taken possession of it. Dr Ambedkar had been thinking deeply about the roots of caste over many years, coming to understand that those roots lay in the mind itself: ‘Caste is a notion, a state of mind.’ That notion was integrally embedded in the whole Hindu mind-set, entwined with its powerful and superstitious beliefs in a social destiny ordained by the gods. But this insight also suggested the solution: ‘What mind creates, mind can undo’. In 1936 he decided that he would leave Hinduism and began the search for another religion, both for himself and for his people. He had definite criteria for his search: such a new religion must enshrine the principles of liberty, equality, and fraternity, utterly rejecting caste in all its forms. It must also be compatible with reason and science, not enjoining blind belief in supernatural agencies that control human fate. And it should not justify poverty. He had long been personally drawn to the Buddha and his teaching, both for its spiritual power and its emphasis on social morality. After a sincere exploration of the major world religions, he concluded that this ancient Indian religion was the best one for his people, indeed for all humanity, and, on 14th October 1956, he went for Refuge to the Buddha, Dharma, and Sangha himself, and then inducted some 400,000 of his followers into Buddhism. The Dharma Revolution had begun. For Dr. Ambedkar, real reform comes about only from a change in mental attitudes and outlook on the part of many people in society. It is the Dharma that offers the firmest basis for that change of heart – a change that would express itself in a transformed society that was truly equal, just, and free, underlain by a powerful sense of shared citizenship, even by respect and love between all citizens. He considered this to be true not just for the oppressed castes from which he himself came or even for all Indians – he believed that the Dharma was the surest basis for a truly just society anywhere. Many of us in the Triratna Buddhist Community share this perspective, which we have learned from our own teacher, Urgyen Sangharakshita, and we are deeply inspired by Dr Ambedkar’s teaching and work. What we want to see is the Dharma brought to bear on social, political, and economic questions everywhere. We want the power of the Dharma to transform not only us, but the whole of society. We want to help bring about a Dharma Revolution. But what does this mean? When I talk about allowing the power of the Dharma to transform us and society, what do I mean, very specifically, by the Dharma and what is its ‘power’? We could broadly say that the Dharma is the truth – the way things truly are. If we can see the truth and allow it to guide our actions, even one might say work through us, it represents a kind of force that shapes our thoughts, words, and deeds for the benefit of all. This requires closer, if brief, examination in more precise Dharmic terms. The Dharma is the truth, the way things are, the true nature of existence, and that can be understood in terms of the three lakshanas – everything is impermanent, nothing has substantial identity, and nothing that is impermanent and insubstantial can offer enduring pleasure, satisfaction, or fulfilment. We can express this also in terms of the more fundamental principle of pratitya samutpada, dependent arising – everything is conditioned: there is no phenomenon, external or internal, that does not arise from previous conditions and provide the conditions for future events. Reality consists of conditioned arising. Within the overall principle of conditionality, there are two aspects that, from the point of view of personal transformation and the transformation of society, are especially significant: the Karmic and the Dharmic kinds of conditionality – known in Buddhist tradition as the Karma and Dharma ‘Niyamas’, meaning law in the sense of a scientific law. It is in the working of these two laws that the Dharma’s power to transform lies. The law or principle of Karma is concerned with the operation of conditionality within the sphere of individualised consciousness and it states the dynamics of the interaction between a self-conscious individual and the external world. Skilful actions – actions performed with a helpful state of mind – lead to inner fulfilment and a smoother path through life. Actions performed with hatred and greed and out of unawareness lead to increasing suffering – a sense of frustration and stultification, and also a rough ride in life. The Karmic is then the sphere of moral action. If you act taking Karma into consideration that will lead to your own consciousness arising in more and more subtle, sensitive, and highly positive forms, ultimately capable of directly seeing the true nature of things. And, of course, acting in harmony with Karma means that you will benefit all who come in contact with you. But Karma only take us so far. There is a deeper principle that transcends our merely personal efforts, leading us far further, beyond our narrow selfhood towards Enlightenment. This kind of conditionality emerges decisively at the pinnacle of our Karmic efforts, which have led to our conscious experience emerging in an increasingly open and selfless way. We begin to realise that the apparent fixity and clarity of self identity is really quite fluid and indefinable. At that peak of Karmic development, we gain insight into the nature of our experience, seeing that the idea of self is simply a linguistic convenience that refers to no permanent, isolated reality. Indeed, we recognise that we need no such notion. We do not have to will in the old self-referential way and we gradually relinquish our selfish clinging. A new kind of motivation then takes over, as the Dharma emerges more and more fully within our experience. We enter the ‘Stream of the Dharma’, flowing spontaneously onwards, beyond our self-oriented desires. This is the Dharmic mode of conditionality, the Dharma Niyama, which gradually replaces the Karmic kind, expressing itself in increasingly compassionate activity and leading us towards Buddhahood. These two, the Karma principle and the Dharma principle, are deep in the nature of things. They are not merely conceptual constructions, added onto experience; they are not just ideas about life: they are to be discovered in life itself. Just as the law of gravity can be discovered by observing the fall of an apple, we can discover the laws of Karma and of Dharma. Just as the law of gravity only awaited a Newton to name it and describe it, even though it had always operated upon us, the Buddha discovered Karma and Dharma principles in life, as potentialities always ready to be discerned. We too can recognise the Karma principle working in our own experience, as we notice that skilful action leads to a greater sense of fulfilment – and indeed that unskilful action brings pain and frustration. We can see that, as we act more and more in accordance with moral principles, our own consciousnesses become more open, sensitive, and awake. In the same way, we can discover Dharmic conditionality at work, as we allow it to unfold within us, letting it move us, we might say, beyond ourselves. We can see that principle most clearly exemplified by great beings, especially by the Buddha himself. We can see in his life and in the lives of his great disciples that there is a stream of conditionality that, once fully entered into, leads inevitably onward to complete Enlightenment - the transcendence of all our suffering and the spontaneous unfolding of compassionate activity. So, when I speak of bringing the power of the Dharma to bear on the social, political, and economic situation, what I mean is bringing the principle of Karma and the principle of Dharma to bear within society so that they transform it in a progressive direction, thereby bringing greater and greater happiness and freedom and fellowship to more and more people. This is the Dharma revolution. How are we to bring Karma and Dharma to bear in society? What strategy should we adopt for bringing them to bear? How do we launch the Dharma revolution? I suggest that there are three particular target areas that Buddhists should focus on, each requiring a somewhat different approach. First of all, we must bring the Dharma to bear on those who are marginalized and disadvantaged within society, because this is where change is most urgently needed. Dr. Ambedkar himself began here: he brought the Dharma to bear on his own people, the Dalits (’Downtrodden’) of India. And what the Dharma did for them was initially mainly at the level of Karma. They learned from the Buddha that they were human beings, like everybody else. They were not to be defined by some cosmic myth, but by the personal moral responsibility they took, by their human capacity for ethical conduct. The Buddha says that what makes you an outcast, an ‘untouchable’, is not your birth, but your deeds – your moral worth. You’re only an untouchable if you refuse to live by ethical principles. Conversely, you’re only a brahmin, not because your parents were brahmins, but because you act skilfully, because your actions are genuinely helpful, both to yourself and to others. Those who are poor, marginalized, excluded, or subject to prejudice need to hear the Dharma’s most basic message: they are human beings, equal to all others in the most important sense of being morally responsible. Their dignity and their strength is to be found in accepting responsibility for their own lives and acting in accordance with ethical principles to be found within Karmic conditionality. Understanding this, they will gain the power and the courage to help themselves – not passively waiting for others to help them, but lifting themselves up and making for themselves a better life through skilful, responsible action. This is not merely abstract theory; it is very practical. Recognising their Karmic responsibility, people begin to say, ‘It is not my fault that I live in a slum, but my slum is my responsibility. I won’t wait for others, I will do something about it myself. I will try to solve my own problems. I will do my best to clear things up myself. I will get together with my fellow sufferers for our common good.’ Of course, helping yourself includes demanding that the government does what it is supposed to do for you. It may be necessary to insist on your legal and constitutional rights. You may have to seek help from those who can give it. But, from first to last, you take responsibility yourself, rather than passively waiting for things to change or giving up initiative to others. Dr. Ambedkar expressed this spirit in his principal political and social slogan: ‘Educate, Agitate, Organise‘ – fight ignorance, which is both effect and cause of exclusion, by getting an education for yourselves and your children; agitate, in the sense of struggle actively for a better life, through economic, social, political, and legal action; organise yourselves so that you are united and can work together to get what you need and what you deserve as human beings. I can bear personal witness to the transformative power of the Dharma on poor and marginalised people in India. For so many centuries Dalits haven’t been accepted as fellow citizens by others, but those groups who converted to Buddhism fifty years ago, especially in Maharashtra State, are taken very seriously these days, because they have made something of themselves. When such people really engage with the Dharma, others have to start taking them seriously, because they have become substantial and impressive human beings. They are not going to let themselves be pushed around, they live honourably, and they make a success of their own lives. More recently, I have seen this transformative power of the Dharma exemplified in the work that some of our Dharmamitras are doing in Hungary among Roma or Gypsies. 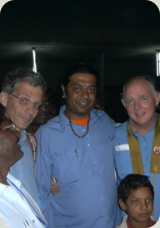 They have formed a branch of the Triratna Buddhist Community called the Jai Bhim Religious Network, which already offers some substantial evidence of that power, even though it is still early days for their work. The way the Dharma supports our Roma brothers and sisters there in their struggle to make something of their lives is very impressive – especially their struggle to get an education and to take responsibility for their own environment. 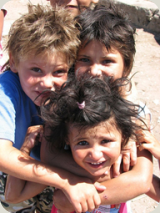 Our friends run schools for Roma, both young and old, who have been unable to connect with the school system run by the state, often because of active discrimination, even exclusion. Of course most do not yet know much about Buddhism, but they are affected indirectly by the Buddha’s message of Karmic responsibility. As a result of their contact with our Dharmamitras and the message they hear coming from Dr. Ambedkar and the Buddha, they’re beginning to take more responsibility for their own lives. They are not just waiting for handouts, they’re trying to make something of their own lives. We need to look around us and ask ourselves: ‘Where in my own environment is there marginalization, where is there poverty – cultural poverty, if not economic poverty?’ For instance, we have strong evidence of cultural poverty in the appeal that right wing nationalism, with a strong racist tinge, has in Britain. It’s relatively small time at the moment in political terms, but it’s something to take very seriously, especially because that sort of bigoted nationalism flourishes in times of economic difficulty. So who votes for them? Usually, it’s poor, white, working-class people who have very little of anything really uplifting or inspiring in their lives, but only the example from their televisions of what they’re not getting. We need to think about how the Dharma can reach them. We might think about our local Dharma centre – what’s it got to do with those people? Well, probably very little, so let us see if we can make it have something to do with them. Let’s try to see what is it in the Dharma that might touch them and the situation they are in. The Dharma is the medicine for all ills. This is what the Buddha called it: the Dhammosadha, the medicine of the Dharma. It satisfies all genuine needs, cures all sickness. So what are their needs? What is it that’s burning them? What in the Dharma could heal them? It may be that they need quite straightforward material help. Let us give that, if we can. But let us try to get beyond the superficial problem to the deeper attitudes that prevent them from dealing with their own problems. How can the Dharma help them to be bigger and better and far more fulfilled as human beings (and, among other things, not vote for racist parties!). We need to be much more intelligent, much more active: going out, carefully investigating the situation people are in, and trying to bring the Dharma to them. We Buddhists in the West tend to come from a very narrow section of society – most of us come from middle-class, educated backgrounds, or we’ve become middle-class and educated, if we weren’t by birth, so to speak. Our attitudes are, by and large, formed by our experience, and it’s difficult for us to place ourselves in the position of people who have a very different outlook on life. And so we tend to attract people like us to our centres. We need to reflect on this. 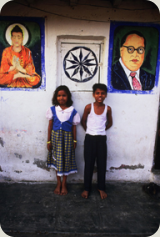 Buddhism is not just for the middle or upper classes – that’s what Dr. Ambedkar proved. Buddhism is also for the uneducated, the uncultured, the illiterate, the underclass – it’s for everybody. And if it’s not getting through, then maybe it’s because we are not thinking boldly, dynamically, and intelligently enough. Perhaps, to be rather provocative, we could even think in terms of ’selling’ the Dharma – why should we be afraid of this metaphor or refuse to learn from the commercial world, at least in certain respects? If you want to sell soap, you must find out what need people have that your product will fulfil, and then you tell them that in the most convincing way possible – of course this should not be mere rhetoric: it should really do what it says on the label, otherwise, ethical considerations apart, people will not buy it again or recommend it to others. We need to find out how the Dharma fits the needs that people have. This will require us to look very radically at what we do. It is quite likely that if we look at the town or region where our Centre is there will be big neighbourhoods from which hardly anyone ever comes through the Centre door. We must then ask, how can we get to them? What is the Dharma food that we can offer them that they will want to taste and that will satisfy their hunger? We should not think that people from less educated backgrounds are not accessible to religion. Actually, they’re the cannon-fodder of religion, the world over. Much religion feeds upon such people, in sometimes quite unpleasant ways, playing on their misery and their illusions. Of course we do not want to use unskilful means to attract people – the ends do not justify the means, in this case: rather, unskilful means of propagation negate the Dharma. But nonetheless we need a somewhat different approach. If we are to reach the great majority of people it is not going to be through the rather tame, reasonable, calm, take-it-or-leave-it religion, perhaps, that we all know and love – it’s going to have to be something much more emphatic, much more convinced and much more glorious. Buddhism has got things to say to people that we don’t usually stress – for instance, we are often rather apologetic about rebirth: ‘Well, you don’t have to believe it, but this is what the tradition teaches…’. Yet, there are people who want to hear about that, even perhaps need to hear about it, and our rather trimmed-down, sceptical, rationalized, tame, middle-class version doesn’t even get to most middle-class, tame people! It occurs to me that there is a class of people commonly found in the developed world who are definitely helped to lead better lives by an understanding of Karma: those who suffer from stress, depression, chronic pain, or addiction. In the economic, political, or social sense, relatively few such people could be said to be disadvantaged or marginalised, indeed many are well-educated and have good jobs, yet they certainly are at a disadvantage. We know, from work that some of our Order members are already doing, that mindfulness training can be very effective indeed in helping people to resolve difficulties of these kinds. Through mindfulness one learns to recognise and change the Karmic patterns within the mind itself and thus to free oneself from painful conditioning. This is an important contribution to society. So we need to look carefully and see what people’s needs are and where the Dharma can touch them and then offer them something that is much more lively, much more all-embracing, much more emphatic and convinced, that really can satisfy them. The second target we need to consider is the outlook and attitudes generally held in our societies. In the modern West, and increasingly in many other parts of the world as well, the dominant outlook is thoroughly materialist, in the philosophical sense – in other words, not in practice giving importance to anything other than matter, consciousness being treated as a mere momentary glow on the surface of matter that burns out when the body dies. That nihilistic materialism finds practical expression in ‘possessive individualism’ – familiar to us as the consumerism that drives so many people’s lives. These are the broad views that most people hold, consciously or unconsciously, in Western society today. The strange thing is that many such people will profess some religious views, even in thoroughly post-Christian Western Europe. But everywhere one sees that the real values motivating most people’s actions are completely consumerist, therefore materialist – in spite of any professed religious outlook. Perhaps this is not surprising. A modern economy in the developed world delivers a steadily improving standard of living – or does so until the system runs into trouble, which is conceived as a short-term mistake that someone should fix. Even in this present time of economic crisis, most people in the developed world nonetheless experience a standard of living unimaginable even to their immediate ancestors. Furthermore, it seems that mastery of our world through technology is really possible and that, given time, science will deliver us solutions to all our problems. After all, I read recently that some geneticists have been able to arrest the ageing process in certain mice…. All this means that the material world seems very convincingly real and potentially satisfactory. And if it isn’t satisfactory right now somebody is to blame – probably the government, or the system, or the banks – and it will soon be put right. These attitudes amount to what Nietzsche called ‘passive nihilism’, towards which he saw Western society drifting, even in his time. There is no perspective beyond this material world, no upward gaze. God is definitely dead, but we’re just trying to get a little bit of pleasure, while being as inoffensive to each other as we can, and accepting that that is all there is – until the final curtain falls. This suspicion of idealism and of leaders is, however, partly an understandable and even positive development, for the chronicles of the twentieth century reveal the appalling destructive potential of ideology and authoritarianism. Indeed, there is a longer history to this rejection of oppressive hierarchy in the West: a keynote of the last two or three hundred years has been a revolt against the abuses of the Church, the inequity and waste of aristocracy and absolute monarchy, the injustice of imperialism and colonialism, and so forth. But our revulsion at all that, justified as it may be, often combines with our materialism to leave us cynical of anything that suggests any moral elevation at all. We’re left with a very limited ethical relativism that is easily subverted by more confident, and perhaps less reasonable, beliefs – as many good liberals find today, faced with fundamentalisms of various kinds. Buddhists in the modern Western world are up against these nihilist, materialist, consumerist, relativist attitudes and the cynicism that goes with them, and if we want to transform society, that is primarily what we need to tackle. And they do need tackling. The consequence of these attitudes is an increasingly shallow and unsatisfying existence, whose meaning lies largely in consumption. Even if people in the developed world can enjoy a material well-being beyond the imagining of the poor and marginalised of the world, they often suffer nonetheless, although in a quite different way: estranged from any sense of community, alienated from natural experience, and burdened by soulless work. It is ironic that the poor and marginalised of a Gypsy ghetto can, in my own experience, seem more truly alive and authentically human than the privileged denizens of the London suburbs. This empty way of life is also, of course, unsustainable: economically, environmentally, and psychologically. Many feel this very deeply, but that is not enough: we must do something about it. How do we change it? Dr Ambedkar himself made this very clear in a talk he gave just weeks before he died: ‘The greatest thing the Buddha taught the world is that the world can only be reformed by reforming the mind of Man’. The problem lies in our minds: more particularly in the interpretation that we give to our lives. The way we understand things at the most fundamental level has a major effect upon how we act. People’s actions emerge out of their view of life. Their ethics stand upon their philosophy, in the deepest sense, even if that philosophy is not articulated or consistent or, perhaps, even fully conscious – or even if their real guiding views are at odds with their professed beliefs. It is this understanding, view, or underlying philosophy that we need to encourage people to transform. If people are to act differently and live a more satisfying life, individually and collectively, they need a very different way of understanding themselves and their experience, a new perspective on their place in the human community, indeed in existence itself. There needs, therefore, to be a reform of the mind on a wide scale and this is task of the Dharma revolution. Our task then is to proclaim the Dharma as a truly new and more satisfying vision. We need to communicate as widely as we can the Dharma’s fundamental perspective on the way things are: dependently arising, without permanent essence. We need to get across the progressive trend in conditionality, the two ’spiral’ principles of Karma and of Dharma, which bring ever increasing happiness and fulfilment if we cooperate with them. First, we need to show how Karma can work to our advantage: inner satisfaction comes from the way you think, the way you speak, the way you act. Through acting skilfully your own mind opens up and becomes more sensitive to the deeper current of things and that brings a growing fulfilment and a far greater sense of meaning. Then we need to get across that the Dharma is a potentiality within life that unfolds when you align yourself fully with it and that will lead you to the highest possible fulfilment – for us, embodied in the figure of the Buddha. The Dharma is the truth about the way things are. It is the truth that morality is natural, based on the natural principle of Karma. It should therefore be discoverable through observation and it is significant that there has recently been research, by both economists and psychologists, into what it is that makes people happy. An economist from the London School of Economics, Prof. Richard Layard, has written a very interesting book, Happiness, that sets out some of the latest research on the subject. These scientific findings seem more or less to confirm what the Buddha said about Karma, although not at all in those terms. By and large, what seems to be demonstrated is that, once basic needs are met, what makes people happy is the values they hold, the beneficial activity they engage in, and the quality of their human relationships. Of course, it is difficult to be happy when you are in economic difficulties or when you are very insecure in one way or another. Material development and economic and political stability certainly do bring an increasing chance of happiness when you live in poverty and uncertainty. But once you have a modest income and stable circumstances, the more you get the less increase in well-being you experience: it seems there is statistical evidence to show that people in USA and in Western Europe have generally not become any happier over the last fifty years, despite real income per head more than doubling. It seems then that increasing wealth itself does not always bring more happiness. For happiness to grow once basic prosperity has been attained, some other factors must enter the picture. Dr. Ambedkar himself makes precisely this point – that it’s certainly true that poverty generally brings unhappiness, but it’s not true that material wealth necessarily brings happiness: happiness comes then from the culture of the mind and is governed chiefly by our moral worth, not merely by our circumstances. In communicating the Dharma, we’re just talking about what is. We are setting before people the facts: the highest potentialities of our lives unfold naturally in accordance with moral laws, which are implicit in the way things are. We’re not requiring them to believe something they can’t investigate – some myth dressed as history. The Dharma simply asks us to recognise that reality works in ways that we can verify for ourselves by looking at our own experience. This is what we’re trying to get across: truths that are accessible to all. The reality of things directly implies certain ethical and spiritual standards and these we need to assert in the face of the prevailing cynicism and relativism. And it is important that we do, in the end, have the conviction to assert. We must present our values and principles as reasonably as possible, but we should also make it clear that we do truly believe in them and that means we live by them, however imperfectly. Our argument should combine reason, passionate conviction, and exemplification – even if it is but the example of one struggling to live by those values despite repeated failures. We should not merely argue, we should ‘bear witness’ to our values and principles. The importance of confidence needs stressing. We need to be convinced by those principles ourselves and to have the confidence to assert them within society, applying them to current social, political, and economic issues. If we do have that confidence that in itself will have an affect. I have been surprised, at times, by the power of such confidence, which can be the decisive factor in many situations. People are often looking for something to have confidence in and many will respond if they hear genuine values expressed with conviction. Of course, it must again be emphasised that we should communicate our values reasonably, but reason should not preclude even a degree of passion if we want people to take what we say seriously. We need to let the Buddhist voice be heard, proclaiming the Dharma strongly, clearly, confidently. For instance, we need to let our politicians hear the voice of the Dharma. Their policies and actions may not directly be much affected by what we may say, but when something is asserted cogently and confidently it rings in the air, it enters the collective discourse, so to speak, and it will have its effect. Again I have been very struck by the fact that people often may not like what you say, but they may nonetheless be strongly influenced by it – and even come to adopt it themselves, albeit without acknowledgement perhaps. If we believe in the power and truth of the Dharma and we assert it with reason and conviction, something of it remains echoing in the atmosphere, even if people don’t appear to listen very carefully at the time. We should, I suggest, get hold of our politicians at election time – they want our votes, so for a brief period it is in their interests to pay attention to what we say. Perhaps we could invite them to our Dharma centre, and ask them some searching questions. We could face them with the moral principles we want them to answer to, and get them to say what they think. They will then do what they consider best, of course, regardless of what has passed in our conversations with them, but at least they’ve heard something of the Buddhist point of view and that may influence them to some extent. And there will be some who are sympathetic to our point of view – after all good people do go into politics, wanting to make a difference for their fellow citizens, and such people may respond to us. When we have weighed and tested them, let us vote for the ones who appear most to appreciate Dharmic principles and to uphold policies that seem most in tune with the Dharma – or at worst least out of tune with it. However, we need to speak to politics all the time. We should continue to try to influence our national and regional or city politicians in any way we can that is line with our principles. It is probably not wise, under present circumstances, to stand for election oneself at that level, because it would be very difficult to remain true to one’s commitments as a Buddhist if one did: for a start, in most modern democracies, that would entail accepting a party ticket and thus at times subordinating your own principles to party discipline. But it is possible to enter politics at a local level on a non-party basis, as some Order members and Mitras have already successfully done. Then you can deal with the issues that arise on the basis of your Buddhist principles without any ethical compromise. Again, we need to use the media to let the Buddhist voice be heard. Those of us who have skill with the pen, the keyboard, or the camera, or with any other medium, need to use our talents to put across the Dharmic perspective on current issues. 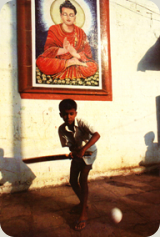 For instance, Vishvapani is doing some very good broadcasts for Thought for the Day on the BBC’s Radio Four. I strongly recommend these to anybody wants to hear a really effective example of what a Buddhist can do, in this respect. 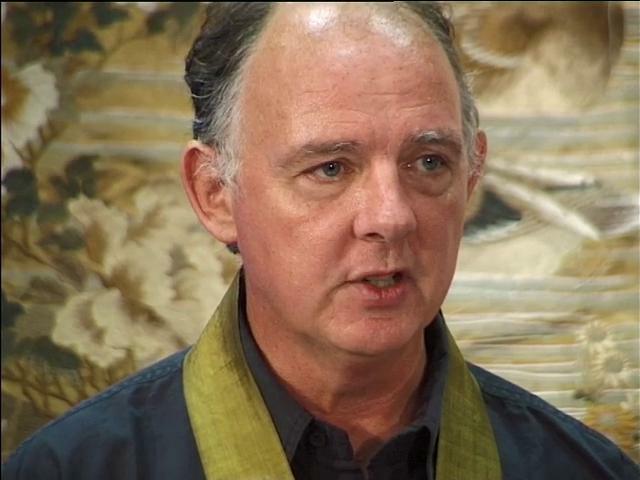 They are skilful and sophisticated applications of Buddhist principles in a way that really does stand out, even in comparison with some of the very witty and intelligent speakers from other religions who appear on the programme. Of course, this is a specifically ‘religious’ slot and we should not allow the Buddhist voice to be confined to that rather minority interest. We should find outlets that have far wider appeal. This is an important consideration: we need to make sure we speak not just among ourselves, or to people like us. We too easily think of going to the margins: the alternative, the radical environmentalists and so forth. Of course we’ve got to reach such people and they are, in some ways, a natural constituency – but we need also to get the Buddhist voice heard in the mainstream of society. We should address the issues on which the Buddhist voice has got something distinctive to say that could influence the way people think. We should use the mainstream media, as well as the established political processes, using whatever opportunities arise or making opportunities, so long as we do not in any way compromise our basic principles. Let me give an example that struck me some years ago: there’s been something of a debate in Britain about what it is to be British. Such a large proportion of the population consists of people who have immediate ancestors who weren’t born in these islands – what then is their relationship to Britain? What is it to be a British citizen today? It is clearly not the delightfully dotty vision offered by a former Prime Minister, John Major, who talked of warm beer and long shadows on the village green and the sound of leather on willow. It’s a gentle, nostalgic image, but it isn’t most people’s experience today of what it is to be British, even to be English – if it ever was. So what is it, especially when the political entity consists of four historical nations with their own strong identities? Surely Buddhism has something to say about this, because a nation made up of such a variety of cultural identities cannot be bound together merely by history, since that history must by definition exclude some others who are now citizens. The binding force must be found in certain common values, beyond any one religion, values that are universal, but that find a particular expression in these islands. We need to identify the principles that underlie British citizenship, which must nowadays go beyond the particularities of blood and birth or of religion. Buddhists will surely have something very important to say about that. To give a more pressing instance of the issues we must address: we need to speak about how the economy works, asking whether it is producing genuine well-being for most citizens. All the measurements used by most governments today are usually about economic growth – that’s the only value… ‘Britain is just getting back on track because the economy grew by 0.2% this quarter.’ It is not enough, of course, it needs to grow more, because the whole thing works on growth in productivity! It can of course only continue to work at certain costs, notably human costs, which occasionally will become apparent, as has happened very recently. We need to be saying very loudly that this is not the way to measure the success of a society or nation. We shouldn’t be measuring it simply on whether it is growing in economic terms or not – we should be looking to other values. We should be asking our politicians how they evaluate the success of the nation. Against what will they be assessing the success of their policies? Will they be looking at whether people generally have an increased sense of happiness, fulfilment, satisfaction, whether people are growing in general human qualities, in moral worth, and in creativity? Are they going to measure the cultural and spiritual development of the nation? Or is the measure simply going to be whether or not they have access to more consumer goods? Fortunately, these questions are being asked a little these days, even in mainstream politics, but that voice needs strengthening and Buddhists have much to say about this. We need to put forward an alternative vision of growth – growth in values, in fulfilment, in creativity. So far I have spoken of the larger social and political context, but much of what needs to be done is more local and particular. Issues arise all the time in our own neighbourhoods that would benefit from Buddhists being directly engaged. For instance, I have been doing the little I can to help my neighbours in the Welsh parish where I have my hermitage to keep their Welsh-speaking primary school open. I am doing it because I believe that it is a factor in preserving a still-intact local community against the assaults of an increasingly rootless society. In my small contributions I have been able to communicate something of the principles I believe to be at stake and my neighbours seem to appreciate that. There are many, many such issues around us, which give us the opportunity to act on and communicate our Buddhist values – and thereby contribute to the Dharma revolution. Even if we do not have the gifts to appear before the public at large, we can all be expressing our Buddhist values to those we meet; with imagination and even a certain rhetorical colour, coming from our strong feeling for the Dharma. People need to hear the Buddhist point of view because it brings so much clarity and depth to the issues that confront people. If we do all work together more vigorously in various different ways we can make sure that the voice of the Dharma is heard throughout society. Then the attitudes and outlook that underlie the present unsatisfactory state of things will begin change. There will begin to be something like a Dharma Revolution. It must, however, be admitted that we Buddhists have, as yet, done all too little to bring this about in the modern world. Our first two targets are principally concerned with Karmic processes, at least as we have so far presented them. We are encouraging the disadvantaged and marginalised to recognise the power of Karma. That means recognising that, whatever the causes of their suffering, they can play a large part in ending it by taking responsibility for their own actions. The same goes for our second target: the attitudes and outlook of people in society as a whole. In trying to get the Buddhist point of view across in this context we are principally trying to awaken people to the truth of Karma. We are seeking to apply an understanding of the operations of Karma to social, economic, and political questions. However, Karma is only one progressive kind of conditionality. There are also those processes that come under the heading of the Dharma Niyama, and it is the application of the Dharma Niyama conditionality that is at issue in addressing our third target. So, what are these Dharma Niyama processes? 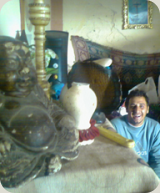 In a phrase one could say that they are the natural potentiality for Buddhahood within reality. That potentiality begins to reveal itself in a decisive way once Karmic processes have been developed to a high degree, establishing the conditions for its arising. Working with Karma can take us to the point at which we see through the illusion of a real, separate, permanent ego identity and thus stop grasping at the idea of self. What then flows from within us is the ‘Stream of the Dharma’ – a succession of states, each conditioning the arising of the next, that are not based on ego-clinging: taking us from greater clarity, freedom, love, and joy to yet greater still. This spiral of spiritual progress arises now independently of ego volition and, insofar as it is less and less connected with self, it is less and less selfish – it is a stream of non-egoistic, compassionate motivation and activity, arising entirely spontaneously. This stream of Dharmic conditionality is an ever-present potentiality of human consciousness. In a sense, it is pulling at us all the time, but our self-preoccupation prevents us even from recognising it – and so we are ignorant of it. Yet some people do directly feel its pull, often as an inchoate call to something more. Perhaps there are many such people. I remember Urgyen Sangharakshita once saying, after looking around while on the London Underground, that he thought roughly one in ten people felt this sort of urge to higher fulfilment to a significant degree. You can recognise something in the eye of such people, a look that suggests they want more from life – not merely in the sense of worldly ambitions, but some greater value and meaning. Maybe everyone feels a sense of existential dissatisfaction sometimes; perhaps everyone wakes up in the middle of the night sometimes and asks themselves, ‘Isn’t there more to life than this?’ The ordinary life most people live can be quite happy, but it does not seem enough to give us real and lasting satisfaction or to fulfil our true potential as human beings. Everyone perhaps feels that disquieting, questioning breeze at the back of their thoughts from time to time, particularly in their youth, but there are those who cannot forget it, who cannot ignore it. They know that there must be something more and cannot rest easy without it. We need to be appealing to them in a very powerful and direct way, letting them know we share their calling and that we have found that fuller, richer life for ourselves in the Buddha-Dharma and that we are trying to live in accordance with the higher values it expresses so purely. It is our task to reach such people and give them the encouragement and opportunity they need. It is a profound relief to anyone who senses this disquiet to discover that others feel it too – for, so often, such existential dissatisfaction is seen as a problem, and may even be pathologised. It is a far greater relief still to find, not only do you share that sense of wanting something more with others, but that it is possible to devote your life to seeking its fulfilment. And it is the most wonderful joy of all to discover that some have sought and found and have taught the Path that can be followed, even by you. We need to reach such people and welcome them into the Sangha of those who are not satisfied with ordinary life and seek a higher meaning through following the Buddha-Dharma. Whilst this task of reaching such people primarily benefits each of them as an individual, it has very important implications for society in general and is thus in itself a significant contribution to the Dharma Revolution. There is first of all what might be described as a negative reason. If people who feel that call to a higher life do not find a way of answering it, what happens to the energy of their impulse? William Blake says, ‘He who nurses unacted desires breeds pestilence’ – by desires meaning here impulses to creativity – ‘arrows of desire’. If a society represses the creative impulses of its citizens, that energy may curdle and sicken, turning either into life-denying depression or a bitter rebelliousness. Unacted desires will find their outlet, if not in creative, then in destructive forms. It is essential for the general health and stability of society that those who feel an urge to a higher, more meaningful life are not prevented from following it. Simply giving freedom to those who feel this higher call is vital for the well-being, even the survival, of society. However, if positive encouragement and active support is given, that will be even more beneficial. Those who live out the quest for greater meaning thereby establish higher values for society as a whole. Shelley famously spoke of poets as the ‘unacknowledged legislators of mankind’, and this metaphor could be extended to the creative in general, especially those who follow the spiritual path in its higher reaches. Humanity needs people who are trying to live a creative life, serving ideals that go beyond self-clinging, because this keeps those higher values alive for all and thus opens up larger moral, aesthetic, and spiritual vistas for all. When no one lives on the mountaintops only the dark and muddy floor of the valley seems real. This is particularly true in modern democracies, which can all too easily become mere arenas for self-interested competition. That will then be played out on the geopolitical stage in nationalistic rivalries, making it impossible to share the world’s resources in an equitable and sustainable way. There needs to be a sense of something beyond our narrow self-concerns, whether individual or collective, something of a higher moral and spiritual nature. There needs to be some leaven in society, that lifts us beyond our selfishness. If society does not have that upward element, it cannot have true justice and freedom and the world will be a very dangerous place. This cannot not however be a matter of mere rhetoric. This higher life needs to be seen to be lived if it is to have any effect upon society. The more people there are in society who live out moral, aesthetic, and spiritual values the better for society as a whole. A truly healthy society would, then, not merely license those who wished to live in tune with the progressive trend in reality, it would provide active support and encouragement to artists of all kinds, thinkers, social activists, and spiritual voyagers. For instance, although not all that goes by the name of art really does serve the progressive current, nonetheless it is vital that support is given to the arts, both by the state and by individuals, because many engaged in the arts do very genuinely struggle to answer a call to something more. And it is perhaps even more vital that the state provides legal and even financial support to those who wish to lead a full-time spiritual life, of whatever kind – at least economic support in the sense of tax relief and the like. This, incidentally, is one of the issues on which we need to question our politicians: do they consider it important to provide incentives to those leading a ‘higher’ life, to put it that way, whether through art or spiritual endeavour. In the Buddhist context, it is the Sangha or spiritual community of those committed to the Dharma life that especially needs valuing and supporting. It provides an example of a way of life based entirely on different and higher principles, upholding moral values that can ennoble the entire community. The Sangha is thus of very great significance to society. Of our three target areas, this is the one that we in the Triratna Buddhist Community most easily identify with and are, perhaps, best at working in – no doubt because that is where many of us ourselves fit in. We could of course do so much better: there are many, many people who do not hear of Buddhism and do not get encouragement to live a real Dharma life, lacking the understanding, tools, or encouragement to do so. I have suggested that we work in three target areas so that we can help to bring about the Dharma Revolution. Firstly, we can show those who are marginalized and deprived – especially economically deprived or socially excluded, but also culturally, even psychologically, deprived – what they can do to change their situation. Then we can make the Buddhist voice heard in the mainstream of society, as much as we can, so as to change the attitudes and outlook most people hold. And thirdly we can try to get the Buddhist message to those who are wanting, sometimes desperately longing for, a higher life. If we can reach these three targets to any extent, we will make a very significant contribution to the creation of a new society – one might even say of a Pure Land, here on this Earth. But this is not an easy task: many with noble ideals and lofty intentions have tried and failed, sometimes creating the very reverse of what was intended. We need then a practicable and effective plan for carrying it out. Urgyen Sangharakshita has here a distinctive strategy, based firmly on traditional principles, the implementing of which has been the principal project of the Triratna Community since it was founded and that always inspires its activities. He argues that we need first to create the basis for engaging in the Dharma Revolution: we need to establish what he calls, ‘the nucleus of a new society’. In the midst of the old society, we need to create miniature new societies: situations in which people live and work together on the basis of the Dharma. From those ‘new societies in miniature’, we can go out to transform the larger society around us. There are three principal functions of these nuclei: supporting those who are already committed to the Dharma, exemplifying what the wider society could become, and providing points of contact for those who are exploring the Dharma life. Support for those who are already committed to the Dharma: If we are to do this work of creating a new society, a great deal of energy and strength is needed. Few of us have that strength on our own – perhaps only the Buddha had it completely, and that is what enabled him to fulfil a Buddha’s function of bringing unaided the light of the Dharma where there had previously been only darkness. Dr. Ambedkar definitely had strength of that kind – and he needed it: he had to fight alone and stand alone. In one of his meetings with Sangharakshita, he commented that he was the most unpopular man in India. Even his own lieutenants were against his conversion to Buddhism and tried to talk him out of it on the day before it took place. You have to be a real lion to stand alone like that. Urgyen Sangharakshita, in the early days of his return to England, had to stand alone in a similar way. But such people are rare – and no doubt would not have chosen to be alone if there had been any other alternative. It really is very, very difficult. If we are to help bring about the Dharma Revolution by carrying out these three tasks, we ourselves need support, at least until we’re so strong that nothing can stop us – that is, when Stream Entry arises. Till then, in order to keep going, we need to feel we’re working alongside some other people. We need to involve ourselves in a living community or society where our aspiration is matched by others, who do not merely mouth superficial rhetoric but genuinely live out the values we share, preferably even live them out to a greater extent than we do. It’s so dispiriting when, yourself fired by the Dharma, you try to communicate it to others, but they just aren’t interested – they simply argue or your words fall flat. At times one will inevitably lose heart and that is when one needs companions who can empathise with one’s difficulties, but who will also re-inspire one. You need that sort of support and companionship, otherwise it is very difficult to maintain momentum. In my work for the Order and movement, over the years, I’ve so often had to watch people losing their aspiration because they just didn’t get the support they needed. You see people come along to a Centre with such strong and genuine idealism, wanting to make a real contribution. But life’s currents carry them away: you meet them later and they say, ‘I just could not sustain it. I never lost my desire to create a better world, to live out higher values, but I couldn’t sustain it. The circumstances I found myself in were just too much for me.’ Such cautionary tales should never be forgotten – for we can be prone to overestimate ourselves, perhaps especially in the individualistic culture of the West. I remember Sangharakshita saying of one Tibetan ‘incarnate lama’ who’d gone to America to spread the Dharma, that it was as if he was a bodhisattva who’d taken rebirth in a new land and then forgotten why he was there, seduced by the fascinations of America. I’ve known a number of Order Members who have gone somewhere new with great enthusiasm and idealism – and then rather lost their way. There’s so much against us – and not just outside us, either: our own inner ‘Maras’, the forces of distraction and compromise in our own minds, will tempt us away. We need support, we need a community of like-minded people around us. If we can, we need to live with or at least around people who share our aspiration. It’s terribly disheartening to live with people who deny your aspiration or are simply indifferent to it. Indifference is probably a more powerful sedative than opposition: opposition sharpens your wits, rouses your energies, while indifference sends you to sleep. You slowly become passive – and join in the rat-race round and round the wheel: a very active passivity. So that this does not happen, we need to live around, and preferably work with, people who share the same aspiration, who are living out the same values, who are struggling to realise the same ideals in their lives. We need the support of instruction and guidance, too. We need to learn from others how to live the spiritual life and to apply the Dharma to the concrete realities of daily life. We need to have frequent recourse to places where the Dharma is in plentiful supply, until the Dharma is so much part of us that we cannot lose it. Perhaps the most important reason for the establishment of these nuclei is the sheer scale of the enterprise. The task of social transformation is limitless and requires a vast amount of energy and a wide range of talents, skills, and experience. It will only be possible to carry it out on a significant scale when many people cooperate together, pooling their efforts and their capacities. In effect, these nuclei of the new society are the basis for the creative teamwork that is needed. If we want to transform society this is what most of us, if not all, need: the nucleus of a new society, somewhere where those who share that aspiration, can gather the support to carry it out and can combine their efforts. It’s only on that basis, perhaps, that you might begin to think about political activism or engaging with the media, for instance, even at the most local level. Without that immersion in the nucleus of a new society, politics would be likely to take you over and you would get lost, as has happened to so many who started with genuine social and political aspirations, their ideals submerged in the struggle for power. You need the basis of the spiritual community to work effectively to transform society, whilst retaining your high intention. Exemplification of what the wider society could become: We also need the nucleus of a new society to provide an example of what the whole of society could be. Many have, for instance, been struck by their experience of particular situations they have come across in the Triratna Community. They will have gone to an urban Dharma Centre or to a place like Padmaloka or Taraloka and they will have felt something different and special in the atmosphere: in the way people relate, the welcome they give you. There’s a very positive and even beautiful environment. People often find this kind of inspiring atmosphere is created on retreat. I remember coming back from my first retreat, thinking, ‘This is what life should be like – I want this all the time’. That gave me so much courage and confidence to change my life so that I could base it on the Dharma and such a strong motivation to make experiences like that available to others. We need to uphold that kind of example of what society as a whole can be, so that people believe it can be achieved and dedicate themselves to making it happen. Such exemplification has a more subtle dimension. The fact that situations exist that do, at least to some extent, exemplify what the whole of society could be like itself has an uplifting effect – one might almost say whether people know of them or not. Human collective life is far more sensitive and even responsive than might appear – sensitive to good influence as well as bad. The mere existence of people living together on the basis of ideals and values derived from the Dharma in some mysterious way may affect the overall texture of society. Something is asserted, something is kept alive that affects everyone, however subtly and unconsciously. Because such nuclei exist, values are kept alive and, when the circumstances are ripe, have a far wider and more effective influence – just as seeds lie dormant in the soil, sometimes for very long periods of time, until conditions come about in which they can germinate. If these nuclei of a new society can achieve no more than this, they have justified themselves – although, such a perspective should not be used to rationalise timidity or laziness! A point of contact for those who are exploring the Dharma life: I recently met with a group of volunteers at the London Buddhist Centre, people who once or twice a week or so come in and keep the centre clean, look after the reception, do some of the basic administration, indeed, do a lot of work in an impressively generous spirit. I am President of the centre and I was trying to thank them for their contribution, but they were saying, ‘No, it is we who are grateful for this opportunity to be part of the community’. The people who live and work together around the centre much of the time build an atmosphere that these volunteers can participate in and so benefit from a collective life based on the Dharma. This then is the third function of the nucleus of the new society. It offers opportunities for contact to those who cannot or do not want to live or work full time with Dharma brothers and sisters. Its doors are open and it shares its atmosphere in various ways, especially through Dharma classes, retreats, festivals, and other such events and situations – including opportunities for volunteering. Through contact with that new society in miniature, people can get support, guidance, and inspiration that will help them to maintain their values at other times. They can stay for a while in a kind of spiritual oasis, where they can refresh themselves. And, whenever they are ready, they can move closer to the heart of that new society, if they want to. The nucleus of a new society may be an oasis in the midst of a desert, an oasis where can be found cool water and shade from the burning heat, but there is a danger in that. We should not simply settle down in the oasis and take our own ease for too long. The oasis is not a retirement home: it is a base where we can find refreshment, inspiration, and support for going out into the world – for bringing about the Dharma Revolution and building the new society. Our aspiration should be to expand that oasis so that it fills the desert. Oases are essential – so many would die of thirst or burn up in the heat if there were none; so many of us would simply become dispirited because of the unending, barren sand. However, our aspiration is to transform the entire desert, the entire world, into an oasis where all can live decent, fulfilling, and beautiful lives. In the Triratna Community we have done a lot, over the years, to set up at least a few such nuclei of a new society. But we need to create so many more and to strengthen and develop those we already have. We have so many Buddhist Centres, where people can make contact with the Dharma and around which broad communities begin to form; we have many residential communities where people can live together on the basis of the Dharma; and we have some working situations and businesses, which give remarkable opportunities for sharing a Dharma life. We have, for instance, a team-based Right Livelihood business at Windhorse:Evolution, which has people working in it from all over the world. What has been achieved so far needs to be used more fully, especially by new generations, and we need to make it available in new places to new people, otherwise we won’t be able to sustain our efforts – the efforts that are needed to transform the world. We collectively will not have the necessary inspiration or strength. I hope that you are convinced that the Dharma is the medicine for the ills of the world. And I hope I’ve persuaded you that what is needed of you is your complete confidence in it, your diligent practice of it, and your proclamation of it in the most powerful and persuasive way that you can. If we all do proclaim it in that way, the Dharma could be a major force for positive social transformation throughout the world. What needs to change is the way people understand life and the values they hold. Once they hear the Dharma and respond to its values, then society will begin to change, especially if they have the example before them of a nucleus of a new society. There is no lasting and truly worthwhile political, social, or even economic revolution without a preceding revolution in attitudes and values. And it is our task in the Triratna Buddhist Community to help bring about that Dharma Revolution. And we do it by first developing the nucleus of a new society and then working within the three target areas: the poor and marginalised, the general attitudes and outlook of society, and those who have heard the call to a spiritual life. Then we will be transforming the world - and at the same time, of course, we ourselves will be transformed. According to Hindu tradition, different castes were created from different parts of the Cosmic Man’s body: Brahmins from his mouth and Untouchables from the soles of his feet. They call themselves the Jai Bhim Network to emphasise their identification with Indian Dalits, since they occupy a comparable position in European society. ‘Jai Bhim’ is the perennial slogan of Dr Ambedkar’s followers in India, used as a greeting. Dr Ambedkar’s first name was ‘Bhimrao’ and ‘Jai’ means ‘victory’ – so ‘Jai Bhim’ means ‘Victory to Dr Ambedkar’ – or one might say, ‘Success to the Dharma Revolution’. For more information see www.jaibhim.hu.